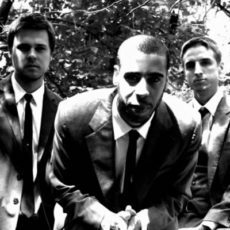 Minneapolis-based 3 piece hip-hop band NO BIRD SING has signed to STRANGE FAMOUS RECORDS! Their new album, “DEFINITION SICKNESS,” is now available worldwide! NBS released their eponymous debut to critical acclaim in 2009. Their 2011 follow-up, “Theft of the Commons”, along with the US tour dates that followed, served to expand their loyal, burgeoning fanbase across the Midwest and beyond. Their SFR debut, “Definition Sickness”, offers a meditative commentary on modern life, owing much to leftist political theorists like Howard Zinn as well as Eastern-leaning philosophers like Alan Watts and Lao Tzu. Musically the dark, transcendent instrumentation of the record creates a rich and varied soundscape that will immediately entice fans of multiple genres. Repeat listeners will be rewarded by both the layered lyrical themes and the ear candy that’s provided by the nuanced sonic compositions.